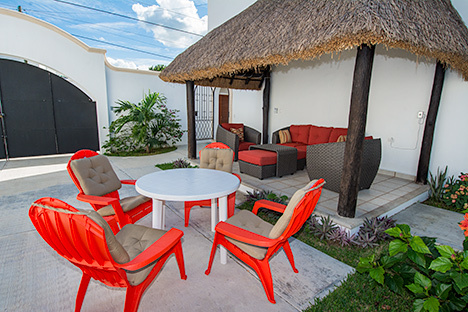 Enjoy a backyard BBQ at Villa Caballito! 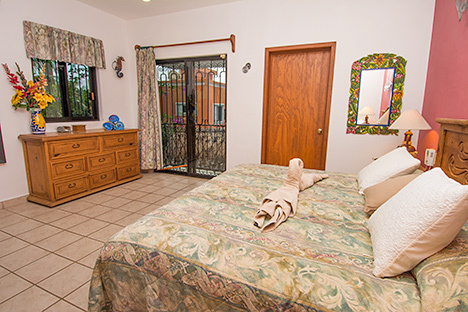 Additional bedding: 1 single size air mattress available with advance notification. 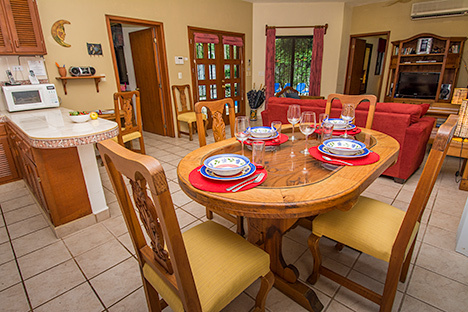 Villa Caballitos can be booked as one property with 4 or 5 bedrooms; or separately as 2 BR (Caballito Rojo, lower level) or 3 BRs Caballito Azul, upper level). 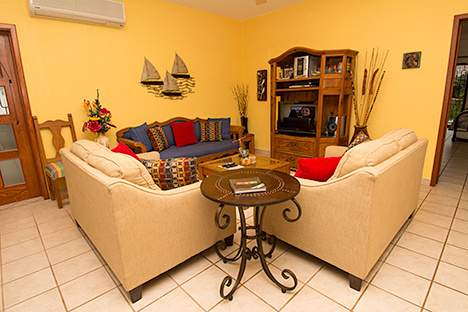 *Add $75 per person per week for up to 2 additional guests in 5 BR (max. 12) or 3 BR (max. 8). Rates do not include 19% local fees or refundable $300 security deposit. NOTE: Families (children are welcome) or groups of adults over 25 years of age are welcome. 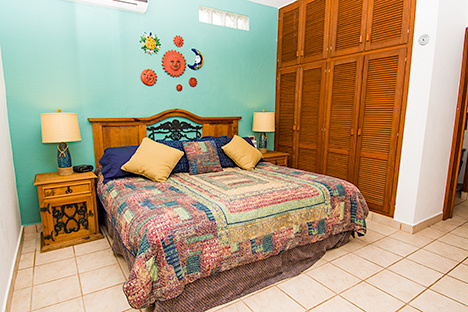 When Rojo is already booked, Azul may be rented as 2 BR, 2 bath for up to 4 guests at the Rojo rate. 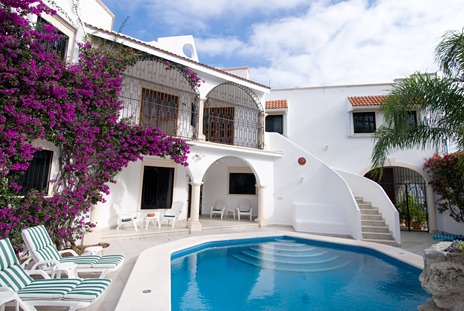 Also, when available, Villa Caballitos can be rented as a 4 BR, 4 bath. 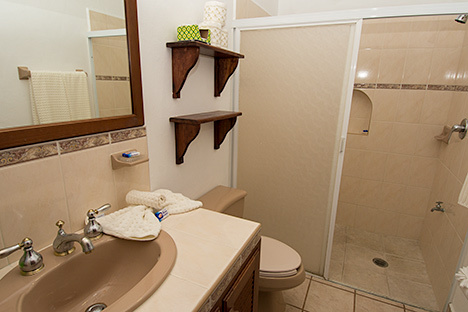 In these cases, one bedroom will not be accessible to guests. During high season, 7 night minimum, unless approved. 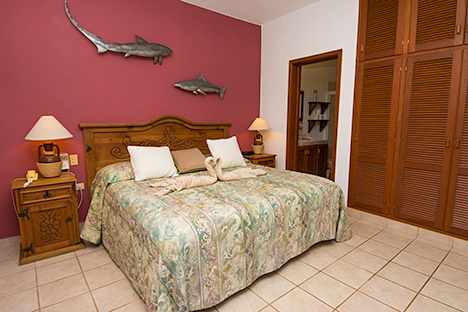 Within 6 weeks of arrival will accept as few as 4 nights. For April 16-Dec. 18: Min. of 4 nights; prorate using weekly rate. 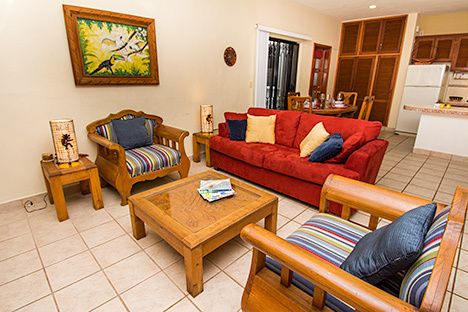 Discount for stays of 3 weeks or more: Inquire. 7-night minimum reservations only. One week rental cannot include both Christmas Day and New Years Eve. 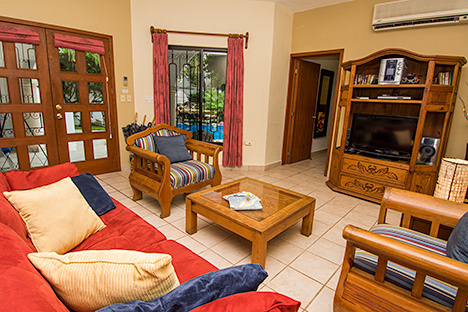 High season: Within 6 weeks of arrival, 15% discount on rent. 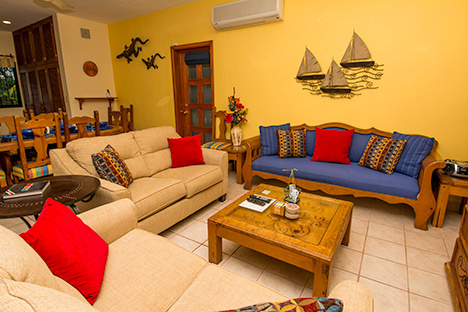 Low season and Fall: Within 6 weeks of arrival, 10% discount on rent. Only one discount per rental. Discount offers cannot be combined. 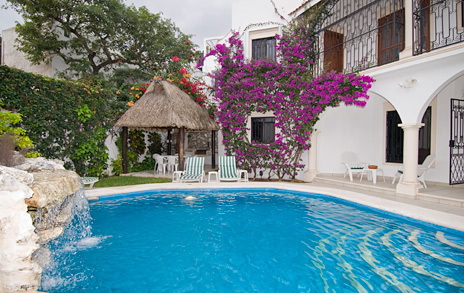 More about Villa Caballitos . 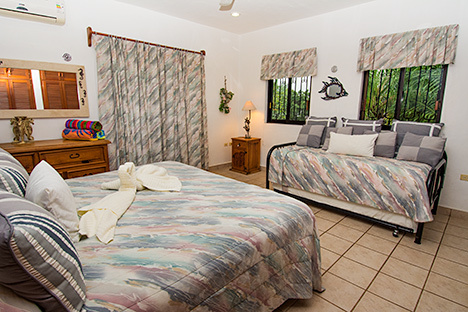 . .
Caballito (Spanish for Seahorse) is a great vacation property and perfect for large groups. 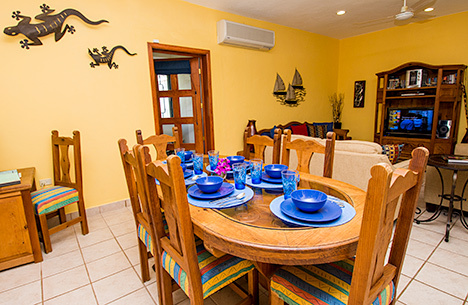 Villa Caballitos is a 5 BR in-town vacation rental with 5 baths, private swimming pool and fabulous outdoor patio spaces. This property is striking in design and offers great living areas both inside and out. 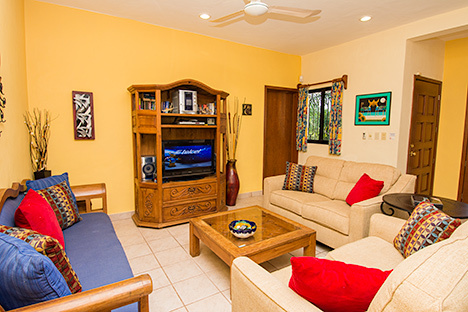 For smaller groups, the lower level (Caballito Rojo) can be rented as a 2 BR, 2 bath and the upper level (Caballito Azul) can be rented as a 3 BR, 3 bath and when available, with 4 BR, 4 bath for 8 guests max. There is a lot of flexibility here for any size or configuration of groups, but book early, Caballitos is very popular and fills quickly! A curved staircase leads from the patio courtyard to the second level where there are 3 BRs, 3 baths, full kitchen, living room and dining room. Bedding on this level includes 3 kings and 1 trundle bed (additional air mattress available with advance notice). 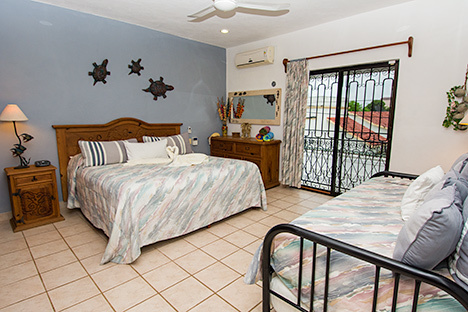 First floor has two bedrooms, two baths and also has a full kitchen, living room and dining area. 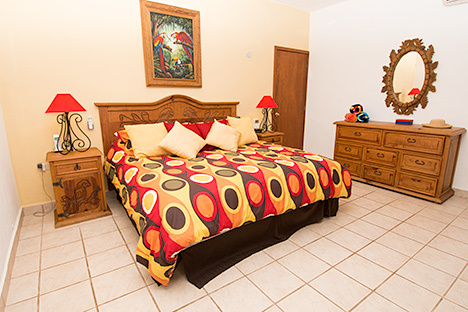 Rooms are large and property is fully air conditioned. 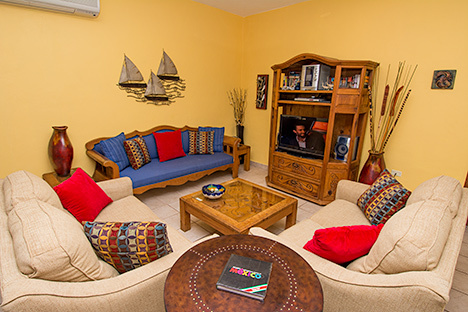 Each level is equipped with satellite TV and DVD. 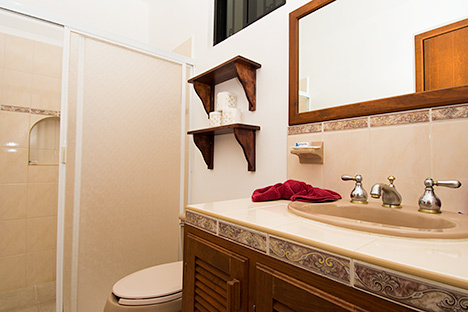 Every bedroom has a private bath and there is bedding for 12 guests. The focal point of the garden is the large 24"x21" hexagon-shaped freshwater swimming pool. 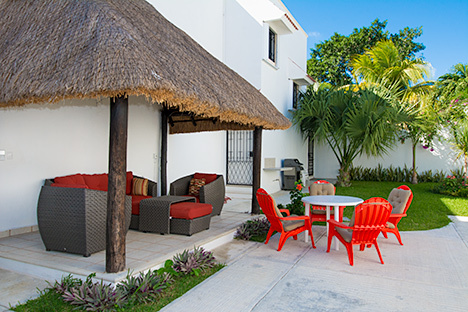 Patio area surrounds the pool and a large poolside palapa provides afternoon shade. 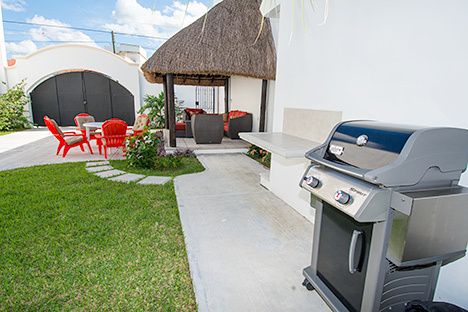 Have an evening barbecue using the built-in grill in the palapa or you may choose the gas grill on the north patio. Divers will love the dive rinse area with secure storage area that is well ventilated to allow gear to dry. 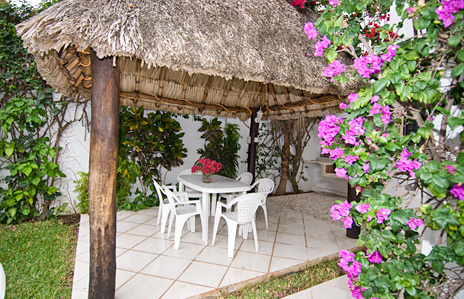 Caballito has two outdoor garden areas. 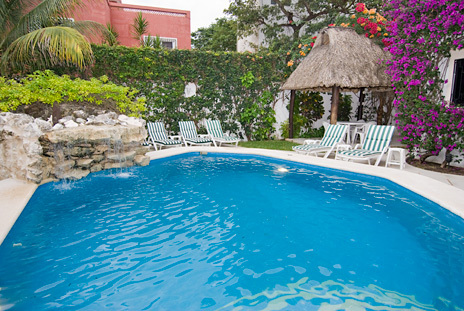 The main outdoor area is the pool/patio and palapa area. Second area is on the north side of the house near the off-street parking area. 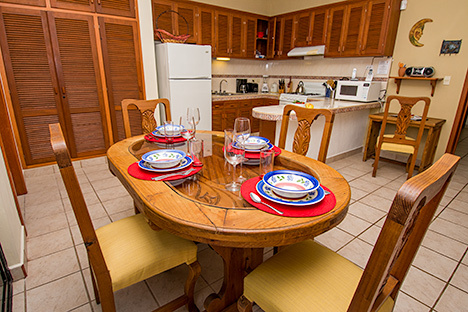 Your group will love this stunning property; it's large, comfortable and provides all the amenities you want in a vacation getaway. 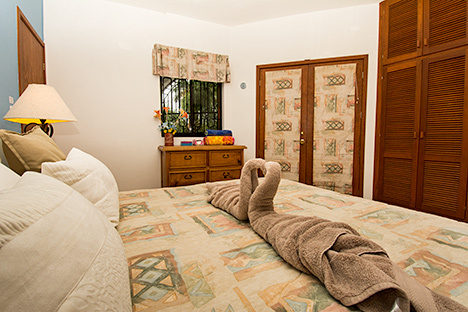 The location on 10th Ave BIS, between 15 & 17 Sur is convenient to all of downtown San Miguel. 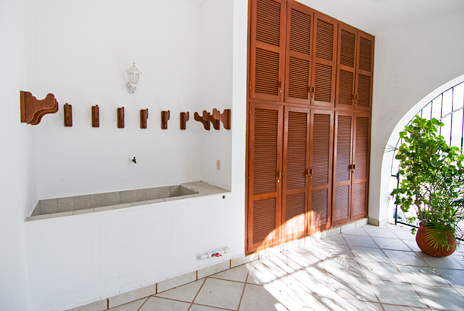 Caballito consists of two levels; you can rent the entire 4-5 BR villa or separately as a 2 or 3 BR villa. NOTE: When rented separately, the swimming pool is shared. 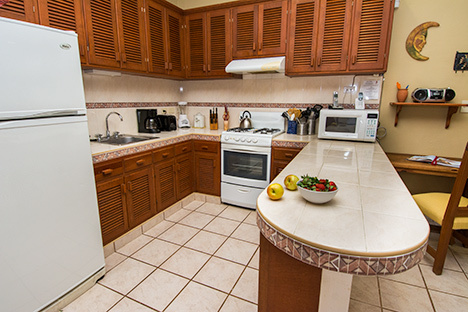 Caballito Rojo kitchen is fully equipped with all you need! Living area has plenty of seating with three sofas! 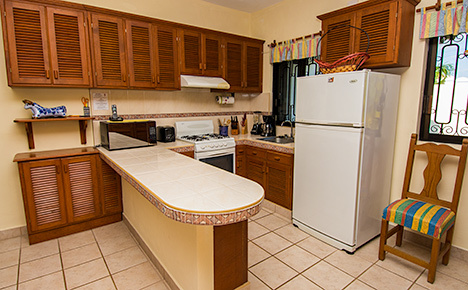 Kitchen is fully equipped; but treat yourself to the COOK SERVICE!